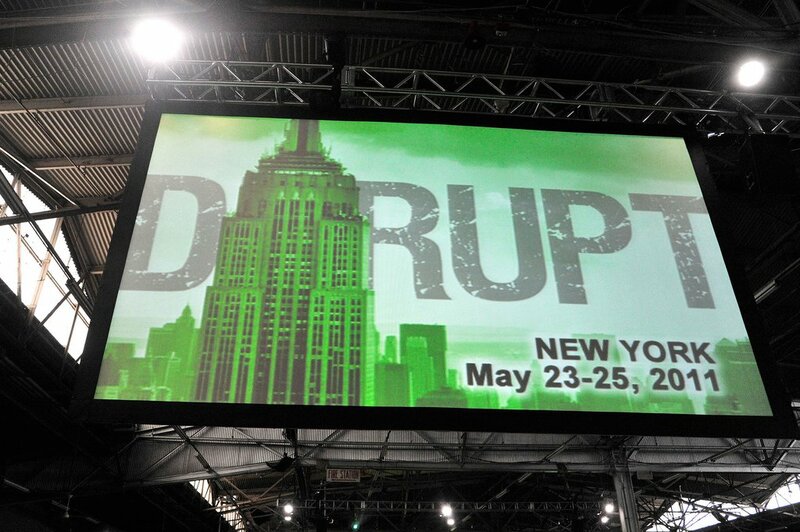 Day One of Disrupt NYC was packed with all-star speakers and Day Two was just as memorable. All of the photos and videos can be found here and here, but here is a quick breakdown of our favorite moments from Day Two. The second day kicked off with a bang. With Charlie Rose scheduled to interview Paul Graham and Ashton Kutcher, people from all over were watching in anticipation, quickly waiting for the interviews to start. 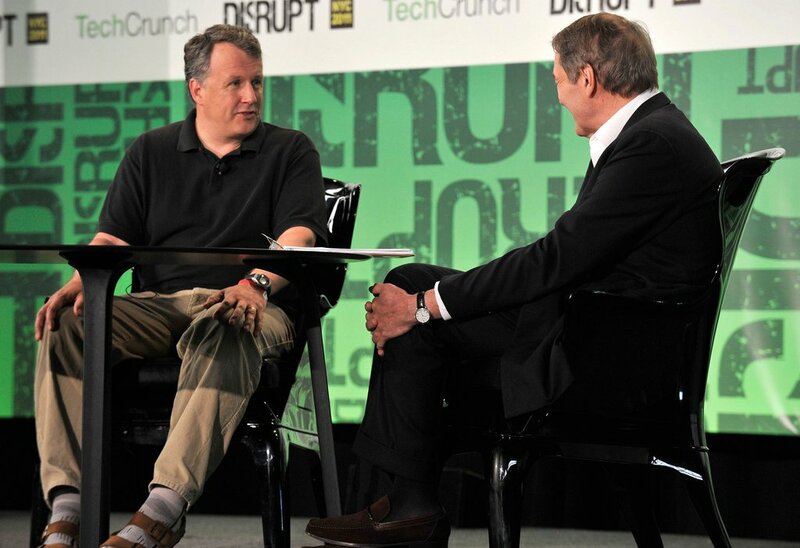 When Charlie Rose sat down with Paul Graham, the topic of conversation went towards what Graham looks for when picking the people who are most likely to succeed. What is the first thing Graham asks when he is approached by people with a great idea? 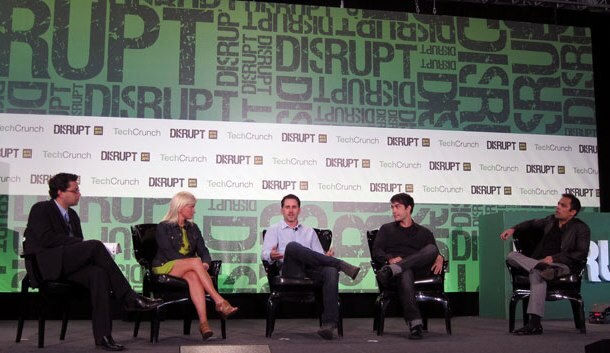 “Tell me about your co-founders.” To Graham the idea isn’t the most important, the people behind the idea are. 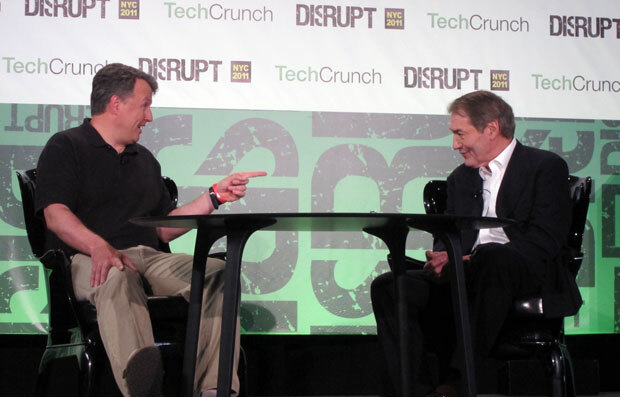 Make sure to view the whole chat between Charlie Rose and Paul Graham. 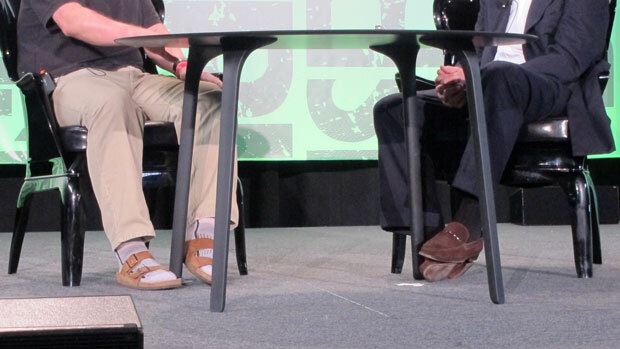 Another fun part about Rose and Graham’s discussion were Graham’s sandals and socks. We loved them and so did everyone else on Twitter. Check out the picture of them we sneakily captured. When Erick Schonfeld sat down with Moat’s Michael Walrath, Facebook’s Carolyn Everson, Medialets’ Eric Litman and RadiumOne’s Gurbaksh Chahal, Everson took the stage and revealed some keys facts and interesting information about where advertising on Facebook is heading. Everson mentioned there are currently 50 million likes per day for pages, which is out of a billion or more likes per day across the web. She also said Facebook was only one percent done on their ad products, obviously hinting that there are many more big things to come. If you haven’t yet, make sure to watch the revealing interview. Bing Gordon surprised us all when he took the stage. Not only is he a partner at Kleiner Perkins Caulfield & Byers, he is also a talented poet. 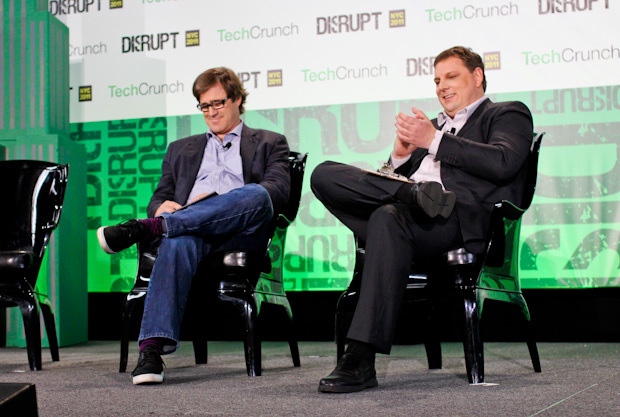 Michael Arrington, knowing Gordon wrote poetry, asked him to write something quickly before going onstage. As Gordon read the poem out-loud to the thousands of guests, there wasn’t one person in the audience who was not smiling or laughing. The poem was pretty hilarious and really catchy. 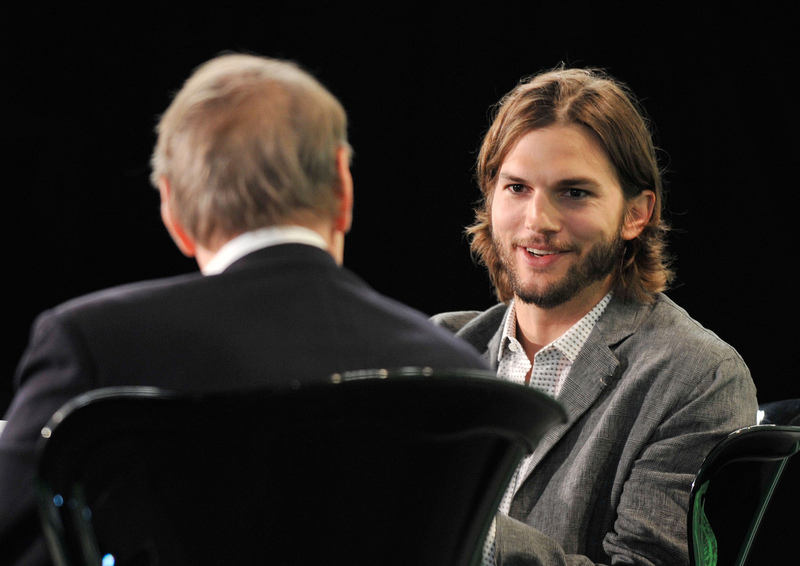 Ashton Kutcher is the Charlie Rose of social media. So VCs are bringing cash there to park it. And John Borthwick has proven that Beta actually works. 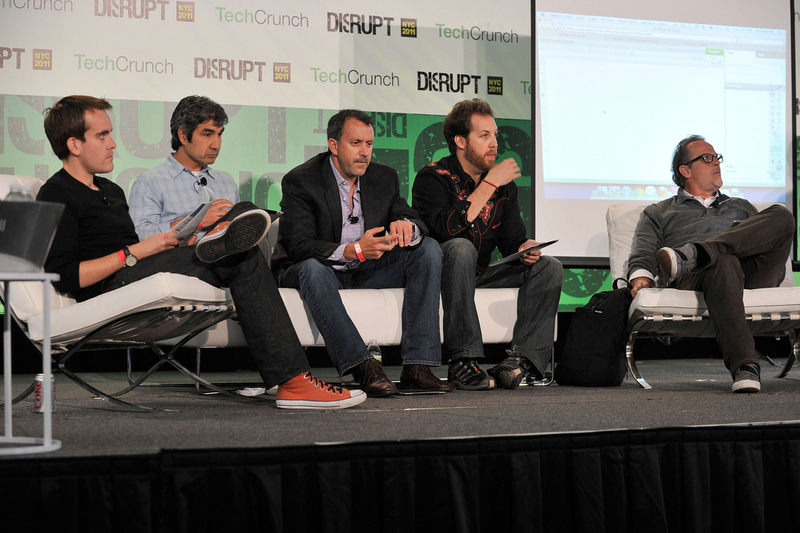 And open a campus to provide entrepreneurs for Union Square Ventures. To support Kristina Salen’s Quest to Learn so education can be hacked. When I arrived from Michigan, it was like OZ to me. Because, if you can make it here, you can make it anywhere! 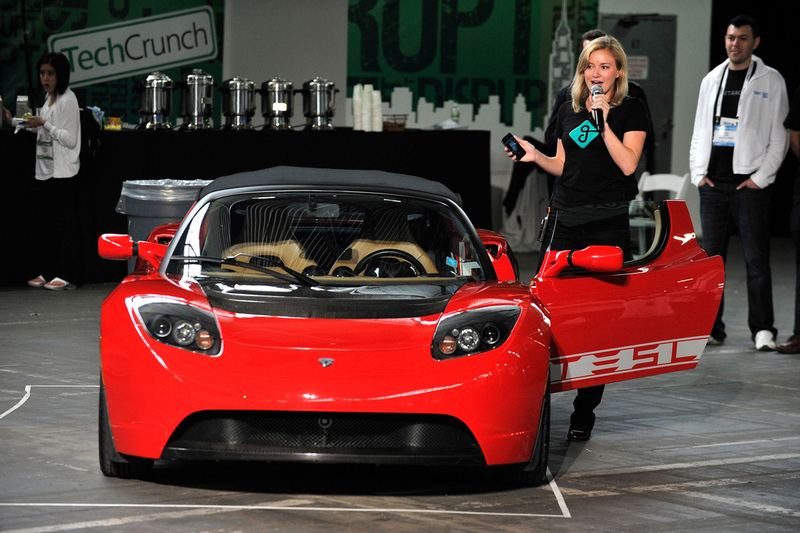 When Julia Hu took the stage for her presentation, nobody expected what was to come. Hu made it through her presentation on LARK before Michael Arrington came onstage to chat with her. When she sat down, someone called out that she had forgotten to go over one last slide. She looked at the slide, screamed, and to our delight and surprise became happily engaged. Catch the entire proposal below. There were many other conversations and interviews that took place, all of which can be found here under the Day Two section. The rest is history. For Getaround’s first Startup Battlefield presentation, be sure to watch the video below and then scroll down to check out some of our favorite pictures from Day Two. Another huge thank you to all of our sponsors, partners, and volunteers who helped us make all of this possible. 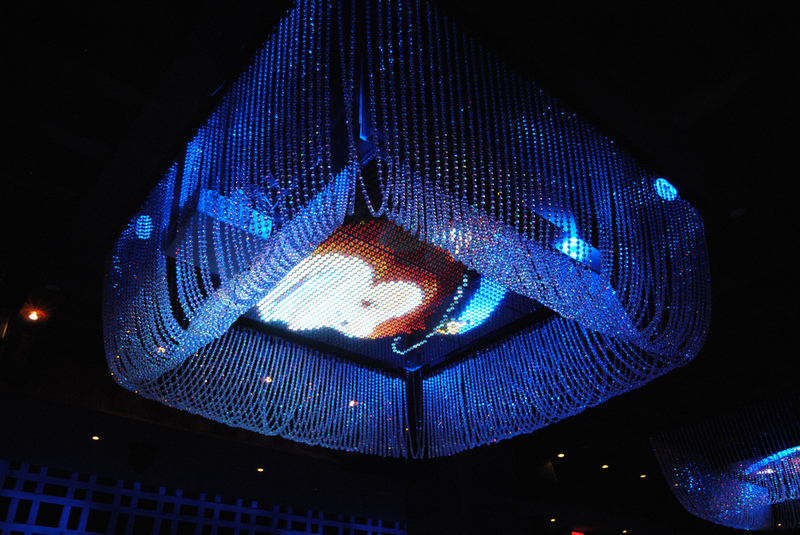 Thank you to GE, Media Temple, and MailChimp for hosting our fun after parties. Thanks to Tagged for powering our charging lounge, and to Zecco and SecondMarket for providing the networking and cocktails for our receptions. 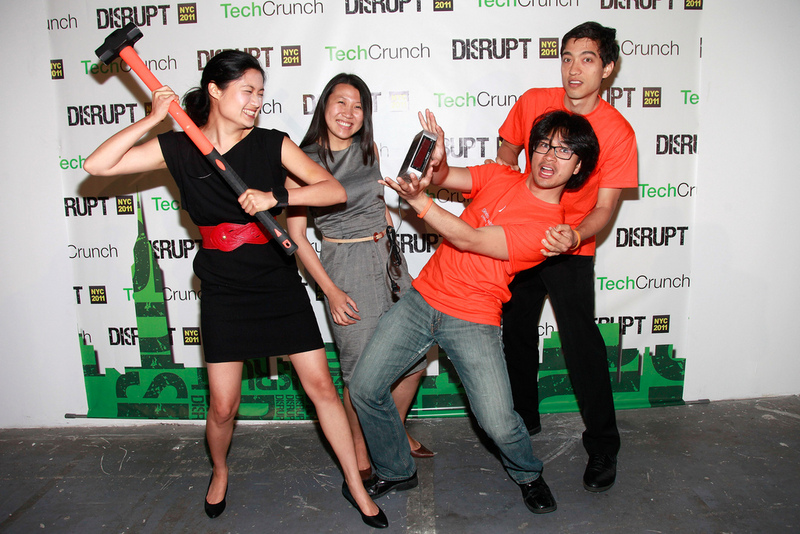 Also, thank you to Bing for supporting the ‘decision-makers’ in Startup Battlefield. 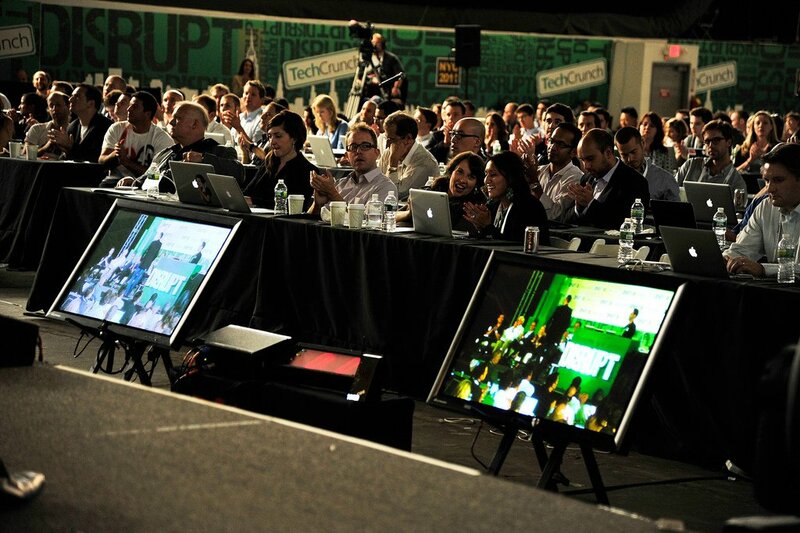 If you would like to attend Disrupt SF, September 12th – 14th, extra early bird tickets are on sale now. 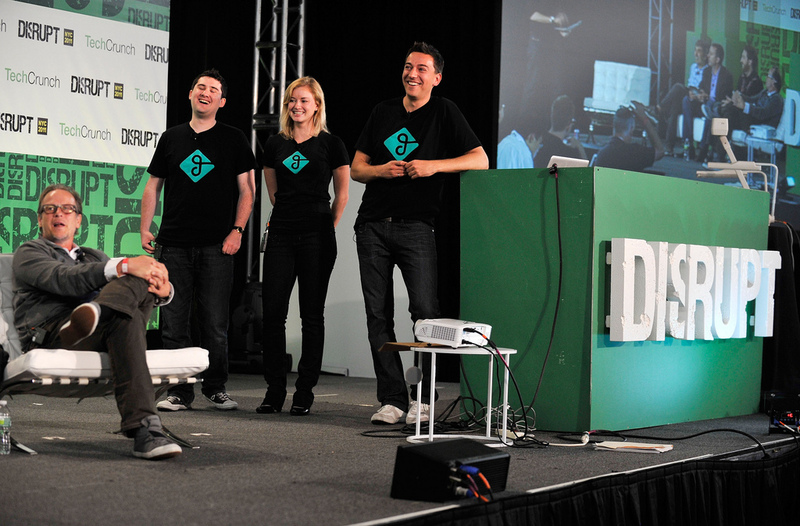 If you’d like to become a foundational part of the Disrupt experience and learn about sponsorship opportunities, please contact Jeanne Logozzo.